We are NOT recommending this vaccine (yet) for the average Omaha metro area canine. There have been zero confirmed cases (yet) in Nebraska. Signs of Canine Influenza: Coughing is the most predominant clinical sign and may persist for several weeks. Dogs may also have decreased appetite, fever, lethargy, and nasal discharge. Some dogs infected with H3N2 (the strain responsible for the Chicago outbreak in 2015) may develop vomiting or diarrhea. Some dogs progress to more severe illness with high fever, rapid breathing, pneumonia and prolonged recovery time. Fatalities have been reported in a small percentage of dogs. Treatment consists of supportive care, antibiotics, and potential hospitalization for severe cases. What you need to know: CIV (Canine Influenza Virus) is not the same as Bordetella. CIV is highly infectious and can spread from dog to dog rapidly through direct contact with respiratory discharge, through the air via a cough, sneeze, or bark, and through contact with contaminated objects such as dog bowls, collars/leashes, and clothing. Wash hands with soap and water or disinfect them with an alcohol-based hand sanitizer after contact with dogs. Dog owners whose dogs are coughing or showing other signs of respiratory disease should not participate in activities or bring their dog to facilities where other dogs can be exposed to the virus. Please call Ralston Vet at 402-331-6322 if you feel your dog is at risk for Canine Influenza. More information can be found here. It is a dog flu that is highly contagious and causes respiratory infection in dogs. It does not affect people or cats at this time. The common symptoms are respiratory signs such as coughing, hacking, discharge from the nose or difficulty breathing. The best prevention is to limit exposure with other dogs. At risk environments include dog parks, doggy daycare, boarding facilities, dog social events, and grooming salons. We recommend that you avoid places with dog exposure where the health of the other dogs is uncertain. Less likely exposure can be your back yard with neighbor dogs. Yes. We will be vaccinating patients 7 weeks of age and older at high risk of infection with a Canine Flu vaccine. 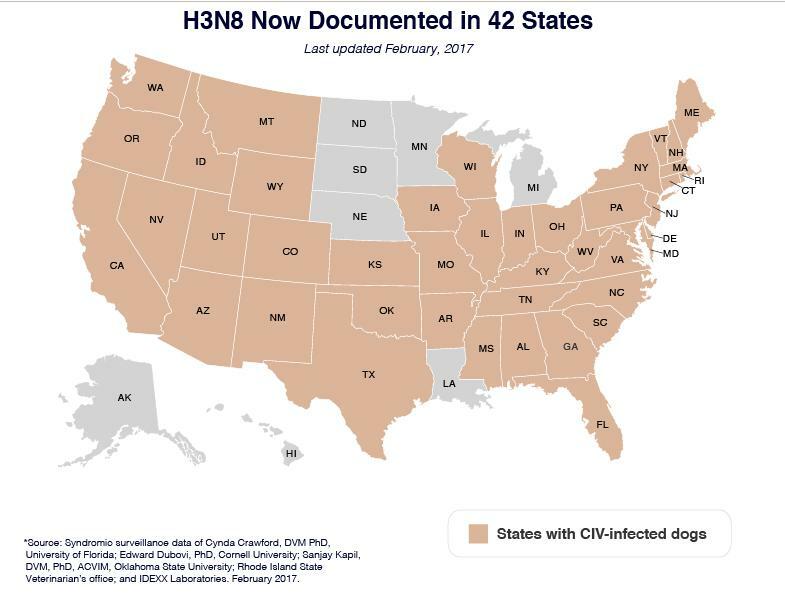 This vaccine covers both the H3N2 and H3N8 strains of the virus. To achieve immunity your dog must be vaccinated and then receive a booster vaccine 2-4 weeks later. If my dog shows signs what is the treatment? Mild cases of the flu will be examined by the veterinarian and prescribed medications. Severe cases can be treated with fluids and medications. Diagnostics may be performed to confirm that your pet does in fact have Canine Influenza. If your dog has a newly developed cough with or without discharge from the nose, call 402-331-6322. Please let our healthcare team know so the appropriate precautions can be taken to minimize the exposure to other patients and the possibility of contaminating our facility. 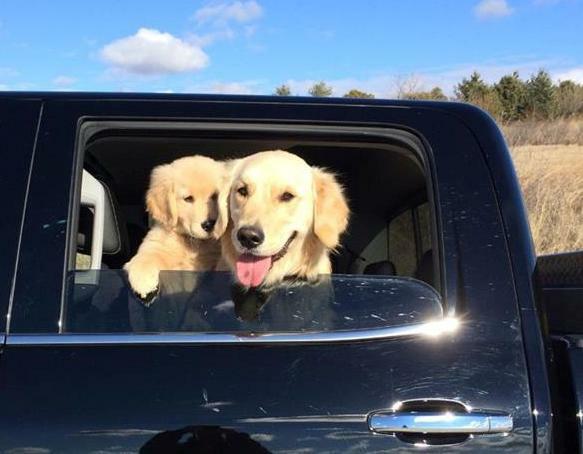 We ask you keep the pet in your vehicle and call us from the parking lot. We want to restate, at this time there have been no confirmed positive dogs in the area. If you will be traveling to an area with dogs that have been sick, vaccination is recommended.